The nation’s foreign-born population has become more dispersed since 1990, but the Southwest region and large cities continue to have the highest concentrations of immigrants. As of 2016, 19% of the national immigrant population lives in the top five counties: Los Angeles County, Calif.; Miami-Dade County, Fla.; Harris County, Texas; Cook County, Ill. and Queens County, N.Y. 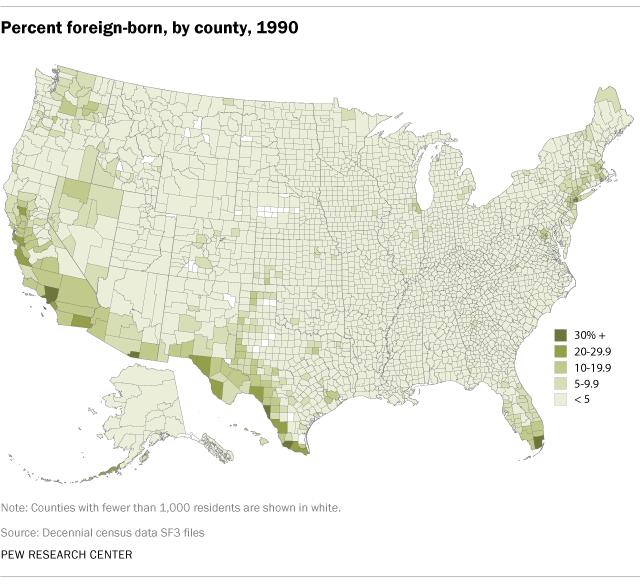 In comparison, 30% of the nation’s immigrant population in 1990 lived in the top five counties at the time.